• identify the potential for university physics departments to support the development of new degree apprenticeships or implement existing standards. • generate ideas for possible collaboration on degree apprenticeship development, involving the Institute for Physics and SEPnet member departments. Employers of physics graduates, relevant professional bodies, sector skills councils, local enterprise partnerships, HE physics academics. The annual Students’ Expo takes place on 29 November in London and provides an opportunity for students to showcase their placement projects through presentations and posters to over 150 employers, academic tutors and peers. This year 91 students from across the SEPnet universities were successful in finding industry and research placements and will present their posters at the Expo. The event includes morning and afternoon presentations and poster sessions and provides a great opportunity for employers, academics and physics students to network and discuss placements, jobs and collaboration. Prizes, sponsored by Institute of Physics, are offered for the best posters. This year’s keynote address will be delivered by Paul Ettinger – a physics graduate now entrepreneur and Co-founder of Caffe Nero. On Wednesday 15 November the IOP held its annual event focusing on promoting career opportunities for female physicists. ‘Taking Control of your Career as a Female Physicist’, organised in partnership with SEPnet, set out to communicate the range of career opportunities for female physicists and provide a platform for attendees to discuss career-related issues in a supportive environment. Panellists from industry and academia shared their experiences and provided tips and advice on their career journey and the resilience needed to carve out a successful career path. The attendees commented on what inspirational role models the panellists were and on how motivated and well informed they felt about their career options. On 8 November the Institute of Physics and SEPnet co-hosted a careers and speed networking event for post graduate researchers chaired by Mark Telling, Senior Research Scientist at Rutherford Appleton Laboratory and IOP Vice President (membership). Students had the opportunity to interact with physicists in business and research institutions including representatives from Diamond Light Source; IBM; ICG Portsmouth; MP Capital; NPL; Rank Group; Rutherford Appleton Laboratory and Surrey Satellite Technology Ltd to learn about different career pathways open to individuals with a PhD in physics. 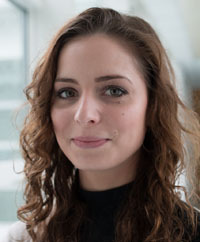 Veronica Benson, SEPnet Employer Liaison Director added that ‘collaborating with the IOP on this event has certainly enabled us to offer a richer experience to our postgraduate researchers.’ The IOP and SEPnet look forward to collaborating on similar events in the future. This event is for all employers of physics graduates, relevant professional bodies, sector skills councils, local enterprise partnerships, HE physics academics.